On Saturday the 2nd of December, Britty and myself headed toward Western Germany to start our trip to Munich. 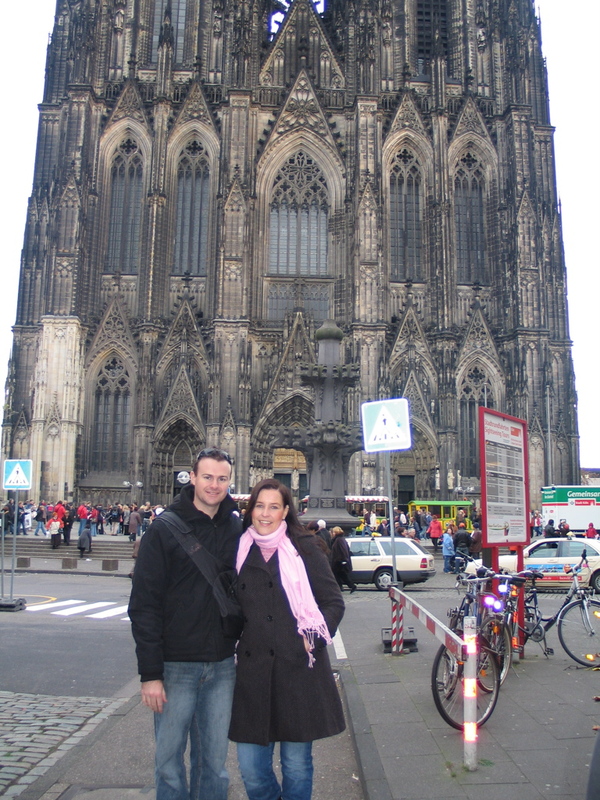 We had heard lots of good things about Köln, so we decided this would be our first stop on the tour. 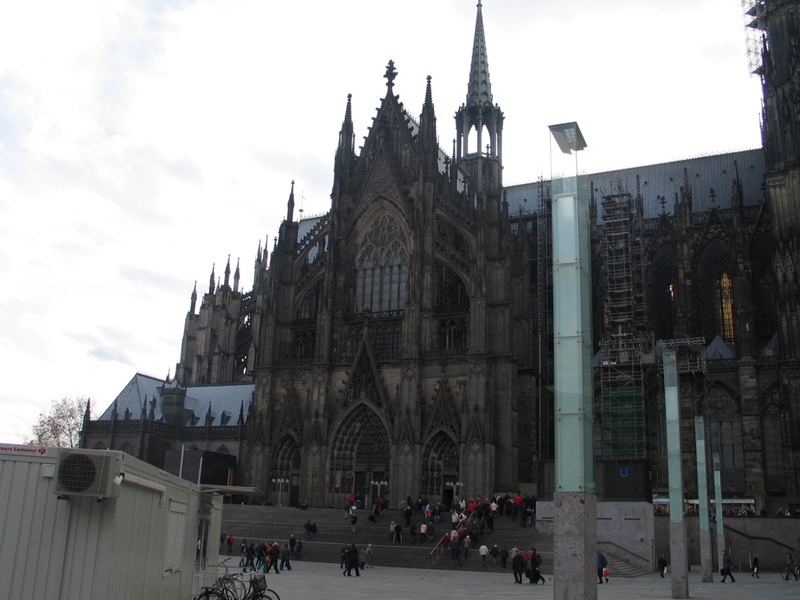 Köln or Cologne in English is a city of about 1 million people, and is the 4th largest city in Germany. The city’s major landmark is the Kölner Dom, which is a huge French Gothic style cathedral which is certainly impressive. The landmark is known throughout Germany, and with so many English speaking tourists, I guess it must also be well known in the UK. It took us about 5 hours to get to Cologne from Kiel, it should have been 4, but with road works blocking a major street (this was only start of our roadwork woes), the GPS navigation system had trouble getting us close. Once we finally located our hostel, we set out to see the city. 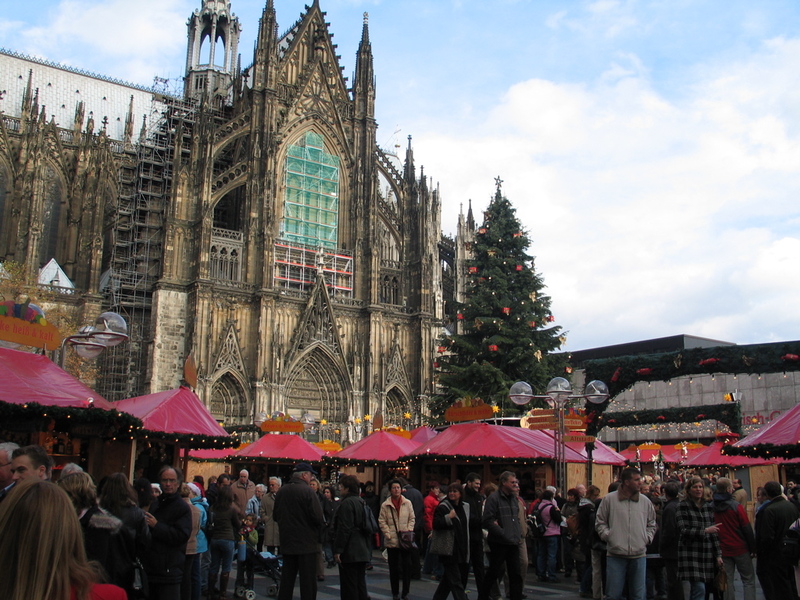 The city was packed with people, and so to were the Christmas Markets. 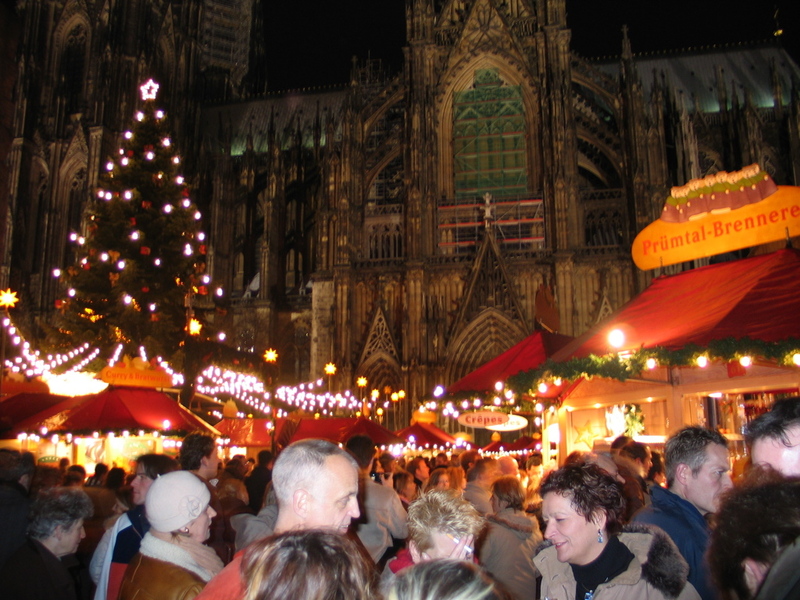 Christmas Markets are hugely popular in Germany, I think that most cities have some form of Christmas market. To me most of the stuff they sell at the Markets is just useless, but the atmosphere is good, and that makes it enjoyable. They also sell this hot red wine (Glühwein), which is just fantastic when the temperature is about 3 or 4 degrees! After a couple of mugs of this stuff (and sometimes with a shoot of rum), you tend to forget about the cold. Cologne also have a very beautiful old town which is very very good on a Saturday night. The only thing was they tend to sell beer in this little 200ml glasses which really annoyed me! It wasn’t until we went to an Irish Pub that we managed to get a full size glass. Well enough of the talk, you want to see the photos. Here they are. The Kölner Dom from the central train station. The Dom in the background with the markets in the foreground. 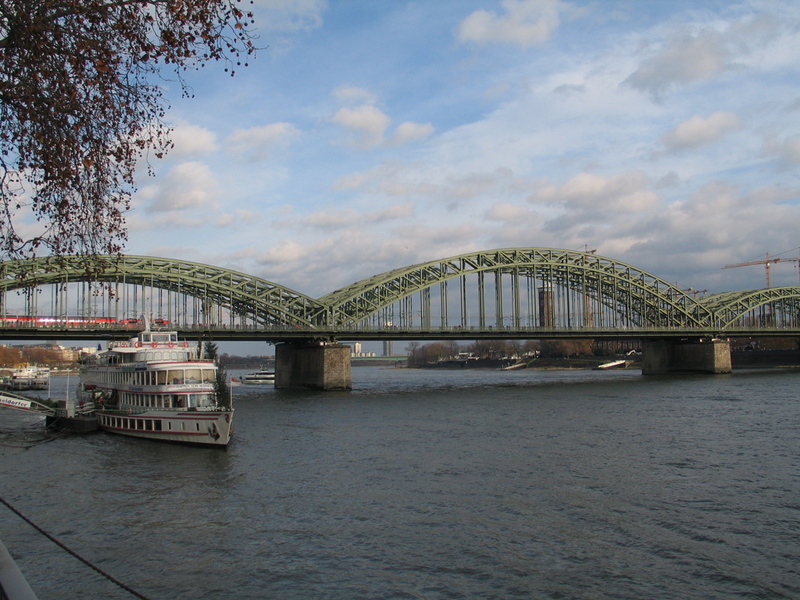 Cologne is a city situated on the River Rhine. One day I want to take a full cruise! Britty and myself decided to climb the Dom tower. 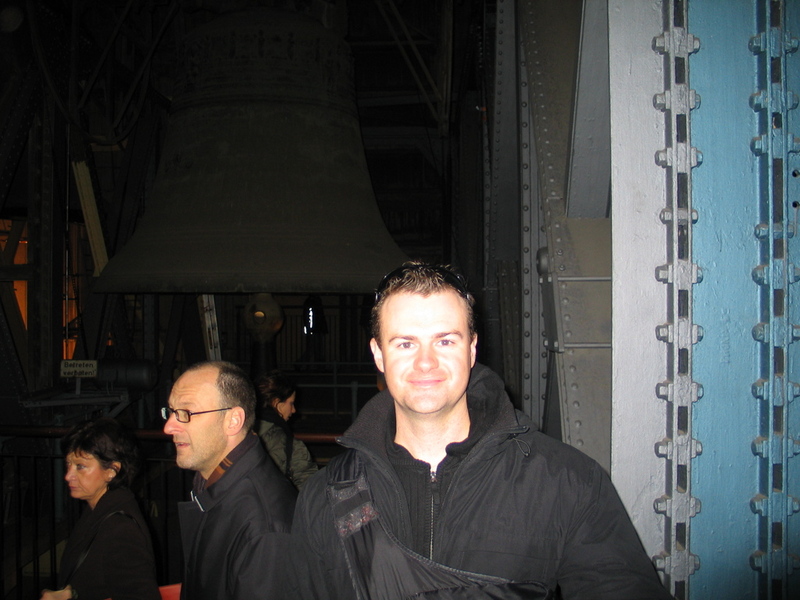 This is a picture of me in front of the largest Bell in the building. They call him Fat Peter. Fat Peter is too big to ring everyday because they are worried he will bring down the entire tower. So he only gets rung at New Years and on special occasions. 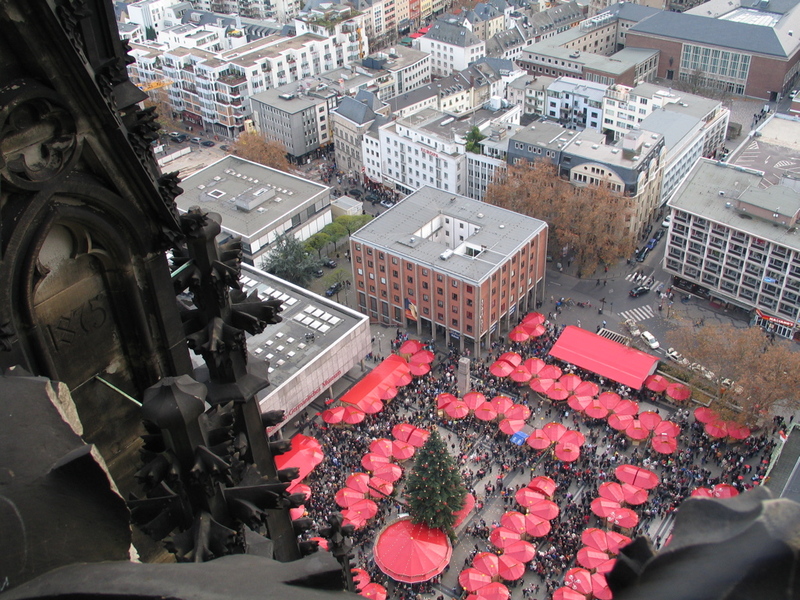 A view of the Markets from up the top of the tower. There were something like 460 stairs to get to that height. Me and Britty in front of the Dom. The guy who took the photo didn’t even try to get more in! On Sunday we went for a drink. 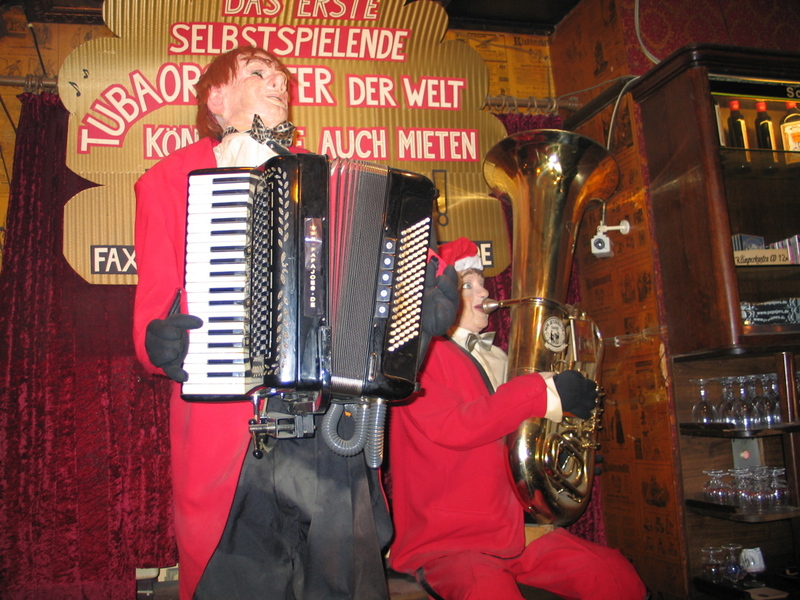 These guys are actually a machine, people put in 1 Euro, select a song and then they play. Is quite cool. You can find the rest of the photos of Cologne here. After our two nights in Cologne it was time to move onto Munich. Tonight Britty and myself are heading to the Christmas Markets in Kiel with some people from Britty’s work, so unfortunately I don’t think I will have time to post, but I will see how I go.